This morning Adelaide Food Central had a little taste of what’s on in the Tour Village, at the Santos Tour Down Under. We had the chance to not only plate up our own dishes, but also make espresso martinis and sing in the car pool car-eoke. We started with an introduction by Chef Simon Bryant who took us through a short cooking demonstration. 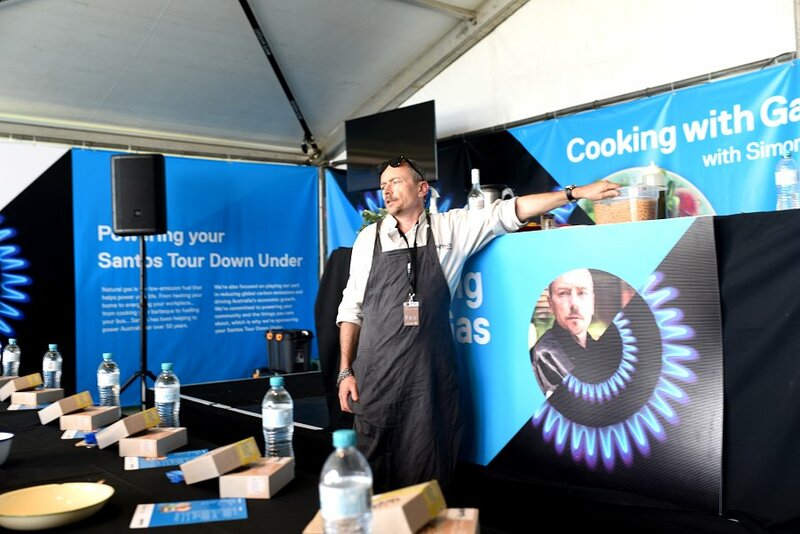 He taught us all the ins and outs of how to make a BBQ cauliflower, pearl peas and grilled haloumi dish. We then had the chance to actually plate the meal up ourselves, I am now confident in saying that I am not very artistic when it comes down to food. The Santos team picked the best plate and then we got to eat the scrumptious dish. It was a very simple recipe but had so much flavour, and it is something I will be cooking at home. We then walked on over to the Grinders stall, the kings of coffee. 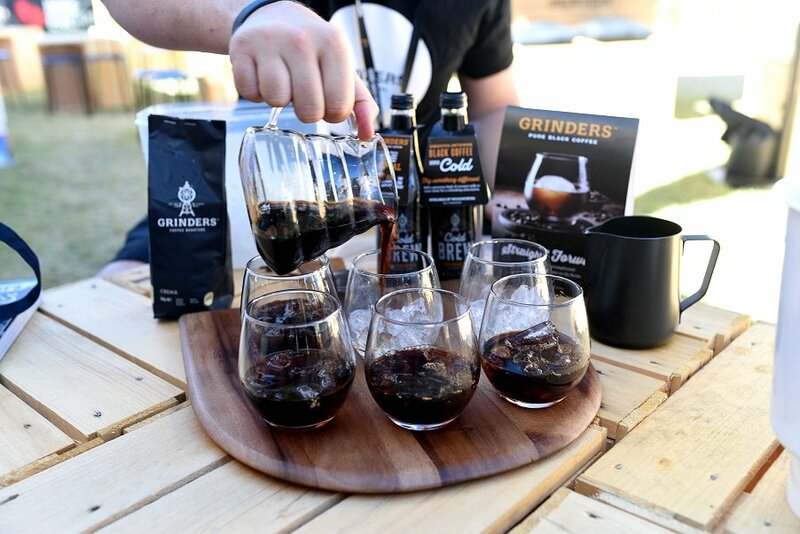 We were taught how to make our own cold brew coffee, the right way. To spice things up a little bit we stepped on up to craft our own espresso martini’s, learning from the experts. 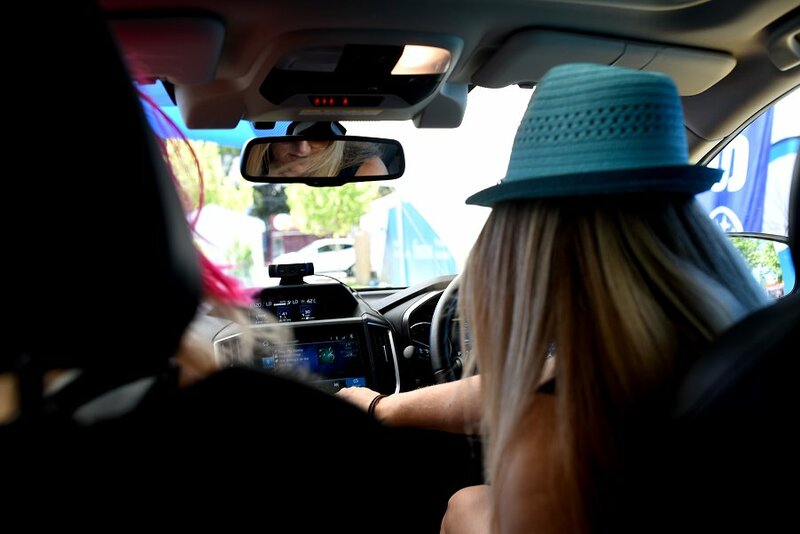 Last but not least we head on over to the Subaru stand, where we hopped in the car to participate in Car Pool Karaoke. There you could see us at 10am on a Thursday morning belting out well-known tunes at the top of our lungs. What a memorable experience that was. Thank you to the team at the Santos Tour Down Under for giving us a little sneak peak into what is happening in the Tour Village this year. We can guarantee that there will be something for everyone.